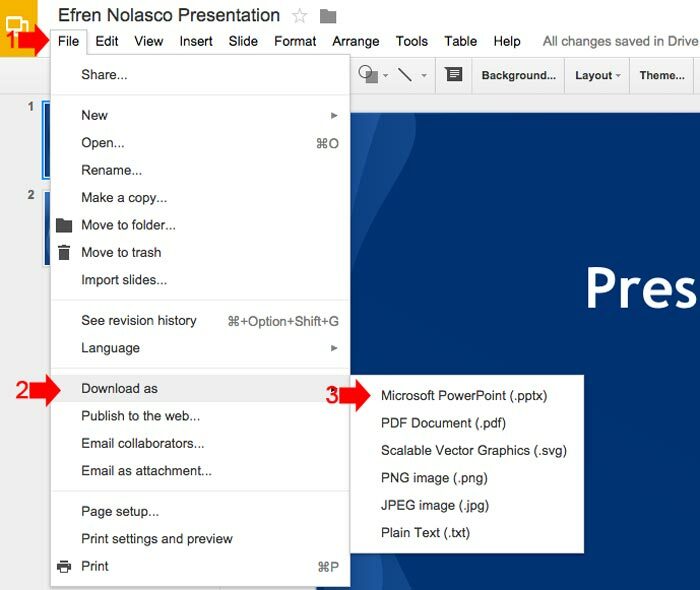 Creating PowerPoint presentation even you don’t have a Microsoft Office installed on your computer is now possible using free online services like Google Docs and Zoho. 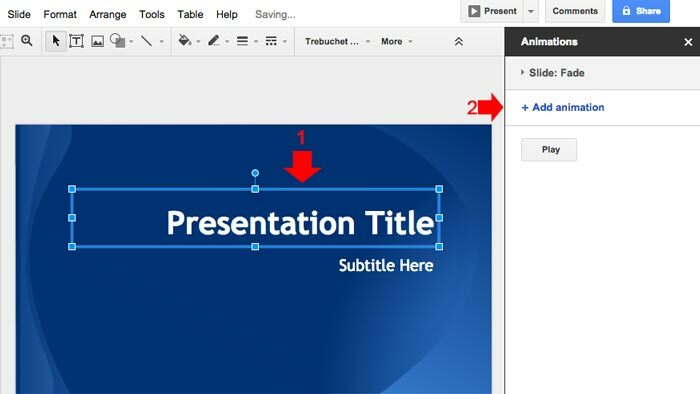 In this article I will teach you how to create PowerPoint presentation using Google Slide. 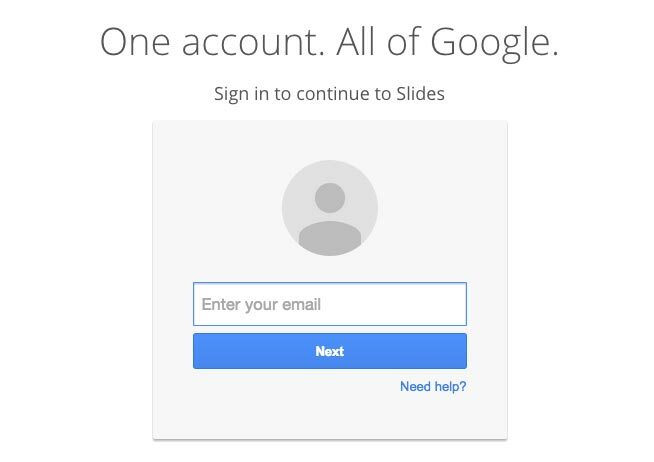 It is similar to Microsoft PowerPoint and you only need a Google account to access. If you are familiar with PowerPoint this will be very easy for you. 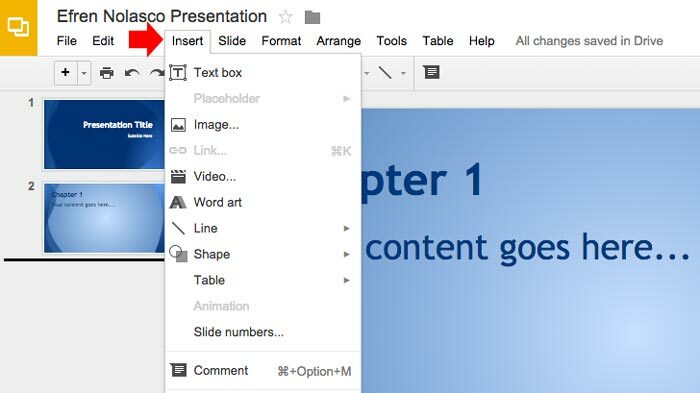 Follow the steps below to create a PowerPoint presentation in Google Slide. Step 3. 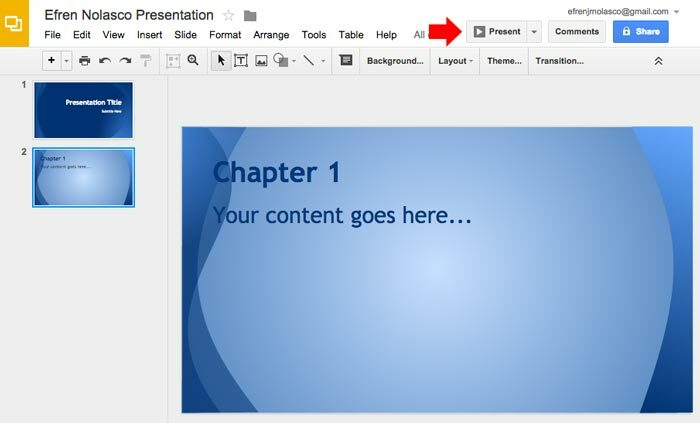 On the Google Slide page, click the red circle with “+” sign located at the lower right corner of the page to create a new presentation. Step 4. 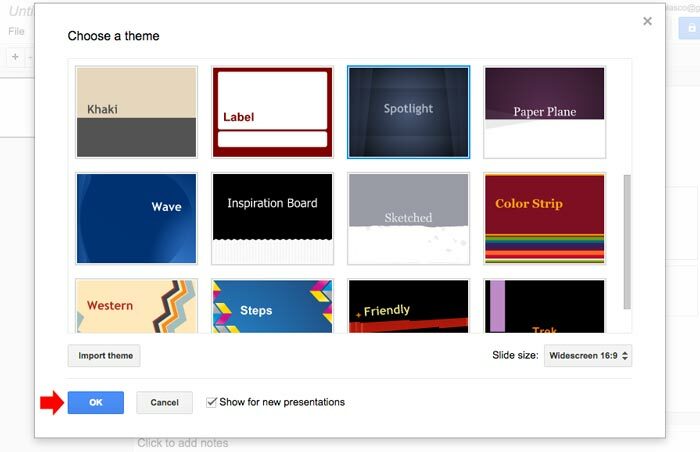 It will open a new presentation, first you need to choose a theme, select which theme you like then click OK. If none of the available theme catches your taste, you can easily import theme. Step 5. Ok, First, name your presentation. 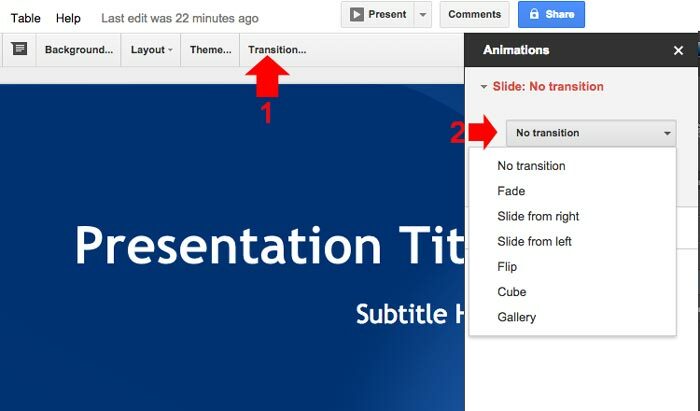 Click on the “Untitle Presentation” then on the popup, enter the name of your presentation and click ok. Step 6. 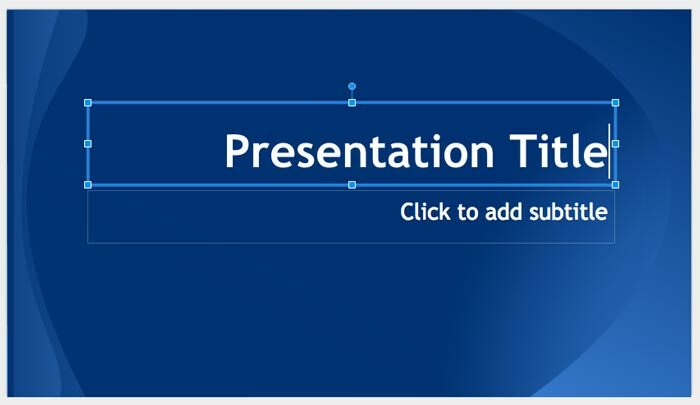 Next is to start entering content on your presentation. 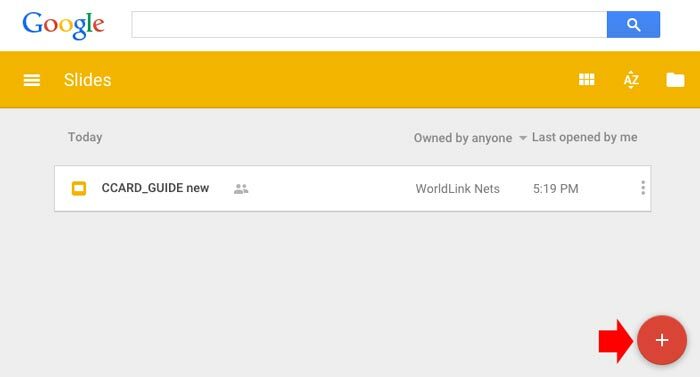 Put the title and subtitle by simply clicking on the area of the slide that has a label “Click to add Title” same with subtitle and other content. Step 7. To add another slide, click the “+” located at the top left of the screen just under the menu bar. See the screenshot. Step 8. To add an image, video, tables, etc. 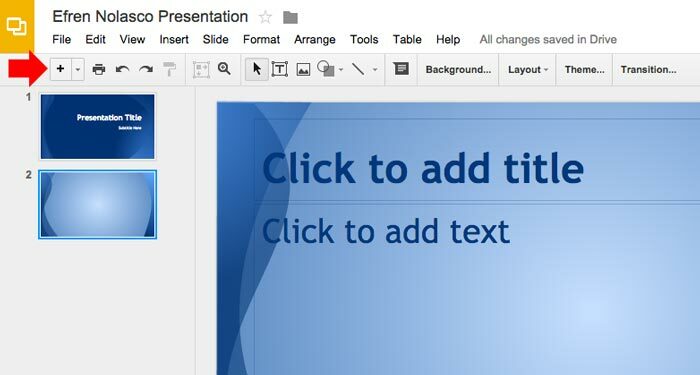 in your presentation, click the Insert menu. Step 9. You can also add transition effect on every slide, click “Transition” and select what transition effect you want to apply. Step 10. You can also add animation effect on every part of your content, simply click the content that you want to animate and click “Add animation”. Step 12. 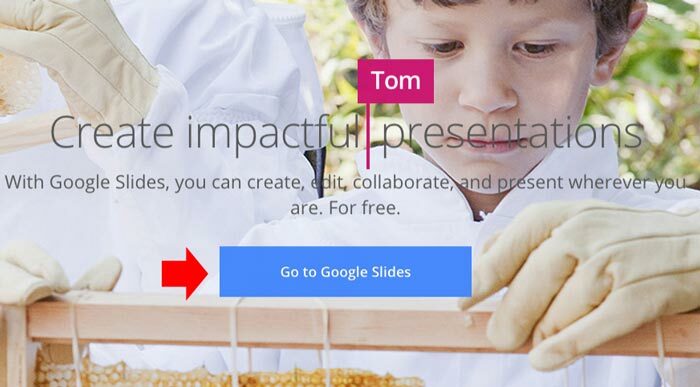 If it’s ready you can either share directly to other google user or download as Microsoft PowerPoint Presentation. To download, go to File > Download As and select your desired format to download.